Casting directors are seeking male and female talents for the production of a commercial, which will be featured in Japan. The project will be shot for one or two days between the dates of May 21 and May 27 in Los Angeles California. They want to cast an all-male rock band for the commercial. You must have your own instruments, and the band members must be in their 50s or 60s. Also, they are looking for female ocarina players in their 20s, while they seek for male chainsaw artists who are 40 years old and above. Ocarina players and chainsaw artists should be of a Caucasian descent. Meanwhile, song whistlers in their 20s are also needed. Your ethnicity should be African American, Caucasian, or Hispanic. Twenty-year-old Caucasian female talents are also required. You must be able to do beatboxing to qualify for the role. All of the roles will have a rate of $750 for ten hours of work, except for the rock band, which will receive a total amount of $2,000. If you are interested to be featured in this commercial, you can submit your application by clicking the ‘Apply for This Job’ button directly below. Deadline of submission is on May 20, 2015. 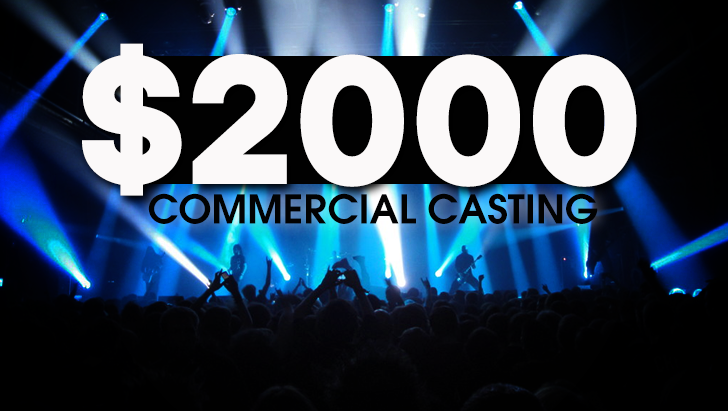 Looking for a rock band to work on a new commercial. Looking for female Ocarina players to work on a new commercial. Looking for a Male Chainsaw Artists to work on a new commercial. Looking for a Song Whistlers to work on a new commercial. Looking for a female beat boxers to work on a new commercial.